Tonight, the Perpetual Notion Machine learns how new advanced technology helps in gathering data on wildlife diversity and the health of ecosystems. Will Cushman welcomes Phil Townsend, professor in forest and wildlife ecology at UW-Madison, as his guest. Phil explains that for any ecosystem to remain healthy and vibrant depends on a wide range of bio-diversity. Within an ecosystem, each specie usually has a particular niche. So, as the specie performs its functions for survival, the ecosystem benefits as a whole. And the more varied and greater the number of species, both plant and animal, the healthier the ecosystem. 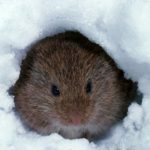 But Phil says to assess the health of an ecosystem requires a LOT of data gathering on as many plants and animals as possible. This is extremely time consuming. Now advanced technology in the form of remote sensing has provided a new way of gathering all kinds of data. NASA’s weather satellites have been doing this for awhile with sophisticated imaging cameras pointed down to the Earth’s surface. But now drones can get closer to the surface and focus on smaller sections of land. In his research, Phil uses hyper-spectral remote sensing, which measures a wide range of wavelengths in the electromagnetic spectrum. This helps determine how well plants are absorbing light for photosynthesis and reflecting light. 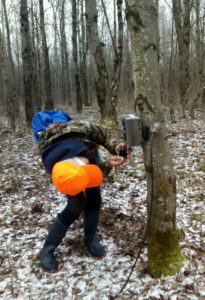 Part of remote sensing has been a project to place a number of remote box cameras at strategic locations around the state. 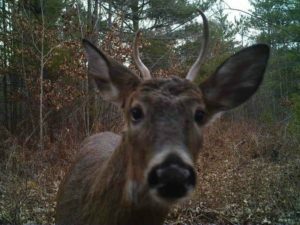 When an animal wonders in front of the camera, a motion sensor causes the camera to snap a picture. The project is called Snapshot Wisconsin. 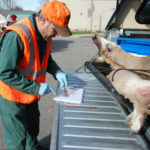 Phil has been part of the project, but it is mostly coordinated through the Wisconsin Dept. of Natural Resources. This project has a need for citizen science volunteers to deposit cameras in new locations and to inspect and classify pictures that have been taken. For more information on Snapshot Wisconsin at the DNR, go to their snapshot webpage. Also, the DNR announced that Snapshot Wisconsin expanded into eight new counties. Here’s a link to that article. 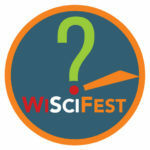 Finally, Snapshot Wisconsin has a national website where you can sign up to be a citizen scientist. It’s through the zooniverse.